Our stomachs produce acids and when the stomach acids flow the wrong way, that is back into the oesophagus it is called acid reflux. 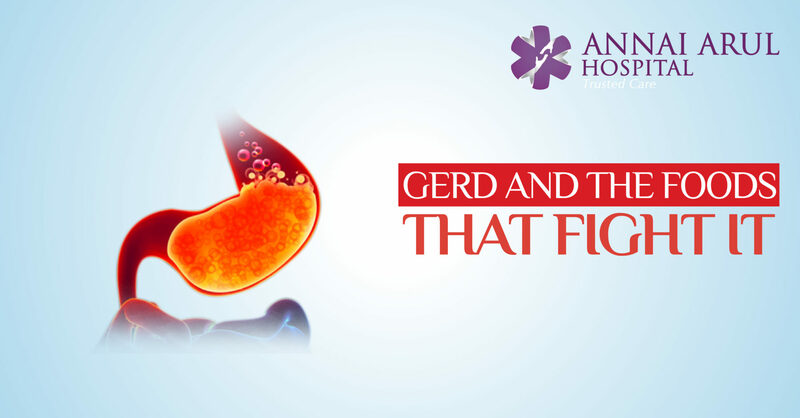 Most of us occasionally get acid reflux but it goes away without any harm but if it happens often and doesn’t get better, it’s called gastro-esophageal reflux disease (GERD). The symptoms for GERD include chest pain, cough, trouble swallowing, especially while lying down. There is also an influx of food particles and sour liquid into our mouth. What you eat daily can have a big effect on GERD. Foods like chocolate, onions, acidic foods and red meat are prone to induce GERD. Other food may help or at least not make it worse. Foods like chicken breast help in warding off GERD. Lean and packed with protein, chicken breasts are pretty easy to digest. Remember to take off the skin and bake or sauté the chicken to eat. Water is the best beverage ever if you are suffering from acid reflux. Avoid using sugary drinks, alcohol and acidic juices which can irritate the system and cause problem. Carbonated drinks add to the gas and make one burp, this makes things still worse. Ginger helps in calming an upset stomach. Ginger tea since it has no caffeine can bring some solace. You can also chew on some dried ginger and better if it doesn’t have lots of sugar. It is a low-acid fruit that will not trigger any symptoms. Nothing can beat a wedge of ripe watermelon on a hot summer day; it cools the body, the stomach and brings down the possibility of a acid reflux. Brown rice is a complex carbohydrate, which means it will take longer to digest than simple carbs like white rice, pastries or sugar drinks. It is therefore better for reflux problems and the extra fibre in it helps better digestion when compared to regular rice. Research suggest that foods high in fibre particularly soluble fibre can help reduce GERD. Soluble fibre in oats reduce the symptoms and can be included in daily diet. Like carrots, turnips etc. potatoes are also root vegetables that are good. They are full of healthy complex carbohydrates and digestibile fibre. Take care not to cook them with onions, garlic etc. since the acidity in these vegetables will cause irritation and acid reflux. Our body needs the right fats to work, but fatty foods can all make GERD worse. In the place of fatty foods a person can try olive oil to see what the result is. A light touch of olive oil is enough as it contains loads of fat and calories. Reflux causes onset of gas in the stomach, so try to skip foods that makes it worse like beans, and dried fruits. Instead switch to greens like lettuce or celery which are low in calories and easy on the stomach, they will not cause more gas. A comprehensive GERD treatment plan must consider additional factors beyond basic dietary changes. For many people with digestive issues restoring balance to the bacterial flora in the intestines may benefit. Probiotics may reduce digestive issues by balancing the digestive system as a whole.